For 2,577 consecutive days, Jonathan Mann has written and recorded one song a day. While you could always comb through his ever-growing YouTube channel, now there's an interactive songaday.org site to find our what he was up to last year, the year before...all the way up to seven years ago today. As you navigate songaday.org, you get snapshots of Mann as a human, a songwriter, and (lately) a parent. Seven years is a long time to do anything, and it's lovely to grab a snapshot of what this artist was up to each year along the way. As I write this post (a few days before it will go live), Mann's year-ago song is This Is The World of Holograms. It's short, it's sweet, and it's frankly pretty good. 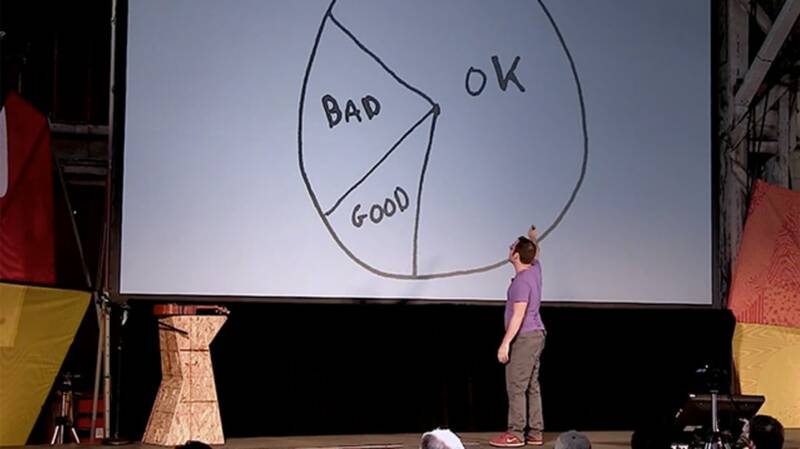 If you want to hear more about how this project started and some surprising things that happened along the way, check out Mann's talk from the 2014 XOXO Festival. Warning: It gets emotional.